Go see this business By Clicking This Link and Completing the Registration. Bargain priced 5 day Deli, can't beat this price. Here is your opportunity to take over a long-established Monday thru Friday 8 am-3 pm deli in the golden triangle area of San Diego. Current owner purchased this deli from the original owner, completely remodeled it, cleaned it up inside and out and got operations in line to where it is now doing 15-17 k gross sales per month. All of this without even advertising, it’s all word of mouth and that word is “THIS PLACE ROCKS.” See the online reviews, customers love this place. No deli competition in the immediate area and only a few food choices are even near by, this is your market area to dominate. Catering is largely untapped and could really add to the sales figures. Dining area has inside seating for 9 and an outstanding outside patio area with seating for 24. Kitchen is in excellent condition with plenty of prep and storage areas. 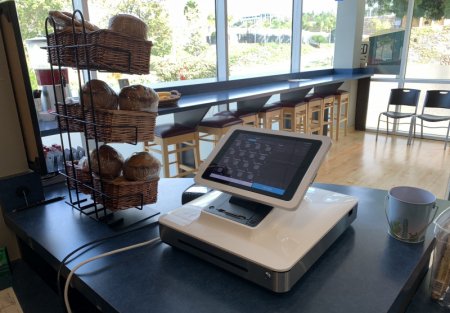 POS system (To verify sales) Cold prep table, hoodless oven, deli display case, espresso machine, additional cold storage are all part of this very clean and efficient deli/café operation. Seller states net income of 4-5k per month with low labor costs. This is with 1 full time and one part time employee. Ideally set up to be run by husband/wife, with two working owners you could eliminate the part time employee and really make some more money. Owner is looking to move out of state and his loss will be your gain. Take a look by Clicking Here. Rent for this corner space on a very busy road surrounded by big name companies and their hungry employees is only $2,269/month all in. Rent includes CAM/trash/water. Deli space is an efficient 895 sq feet with another 300 square feet of patio. Current lease term expires 4/21 with extensions available. If you have been looking for a 5 Day deli/café already making money and has big upside potential this is the place for you.